Seeing the right eye care professional makes all the difference in receiving the proper care and treatment for your vision needs. Problems affecting the delicate tissues in the back of the eye, such as the retina, vitreous and macula, are best left in the care of a retina specialist, like Dr. Michael J. Elman. Here, Elman Retina Group discusses the differences between optometrists, general ophthalmologists and retina specialists. Optometrists complete four years of professional training in optometry school after college to earn a doctor of optometry degree. They are trained in examining the eyes for vision problems and prescribe visual aids (i.e., glasses and contact lenses) to aid blurry vision caused by nearsightedness, farsightedness, astigmatism and similar vision problems. Optometrists are also trained in diagnosing and treating eye diseases like dry eyes and eye infection. 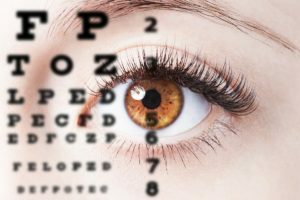 If an optometrist detects a serious problem with your eyes or visual health, such as macular degeneration or cataracts, he may refer you to an ophthalmologist. What Is a General Ophthalmologist? Ophthalmologists differ from optometrists and opticians in their levels of training and in what they are able to diagnose and treat. As a medical doctor who has completed college and at least eight years of additional medical training, an ophthalmologist is licensed to practice medicine and surgery. An ophthalmologist diagnoses and treats all eye diseases, performs eye surgery and prescribes and fits eyeglasses and contact lenses to correct vision problems. Many ophthalmologists are also involved in scientific research on the causes and cures for eye diseases and vision disorders. Ophthalmologists train in a wide range of topics, including the prevention, diagnosis and treatment of eye conditions and diseases, including dry eye, cataracts and retinal problems. What Does It Mean to Be a Retina Specialist? Some ophthalmologists undergo additional intensive training that focuses on a subspecialized area of eye and vision care. Retina specialists are ophthalmologists that have completed training (including a one- or two-year fellowship) after their three year ophthalmology residency to specialize in diseases and conditions related to the vitreous and retina. Most retina specialists focus their practice solely on the diagnosis and treatment of retinal conditions and diseases. They typically see patients who have been referred by a general ophthalmologist or optometrist who has identified a potentially serious disease involving the retina or vitreous gel. Retina specialists are trained and skilled in using advanced tools and equipment to diagnose retinal problems. They also stay on top of the latest non-surgical and surgical methods for treatment. Dr. Elman is an internationally recognized retina specialist with over 30 years of experience. After finishing his ophthalmology residency, Dr. Elman completed a fellowship in retinal vascular diseases and clinical research at the Wilmer Eye Institute of the Johns Hopkins University School of Medicine and fellowship training in diseases and surgery of the retina and vitreous at Barnes Hospital/Retina Consultants, Ltd. of Washington University School of Medicine in St. Louis. Having trained alongside national and international retina specialists and as a recognized leader in clinical research for advancing retinal care, Dr. Elman is uniquely qualified in diagnosing and treating problems that affect the back of the eye, including diabetic retinopathy, macular degeneration, and retinal detachment. To discuss your vision concerns with Dr. Elman, please schedule a consultation. Contact his Baltimore practice by calling (410) 686-3000 today.